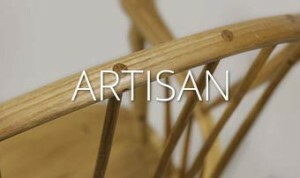 A master craftsman in the Windsor chair discipline, Garry hand crafts a three ranges using a unique style of making which combines green wood working techniques from the past with more modern ways of working with wood. 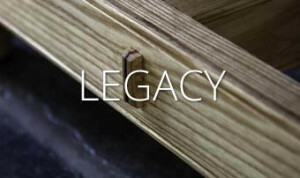 This allows the work shop a huge field of options when resolving design issues. 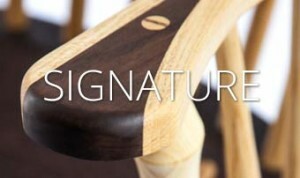 The ranges are: The Artisan, which derives from or is inspired directly by the original Windsor chair discipline; the Signature , which is more individual (and may be adapted to fit your own requirements); and the Legacy range of Goose Island originals – one-off pieces that extend the boundaries of craft furniture making.